Text Reference Number WCBench2 What’s this? 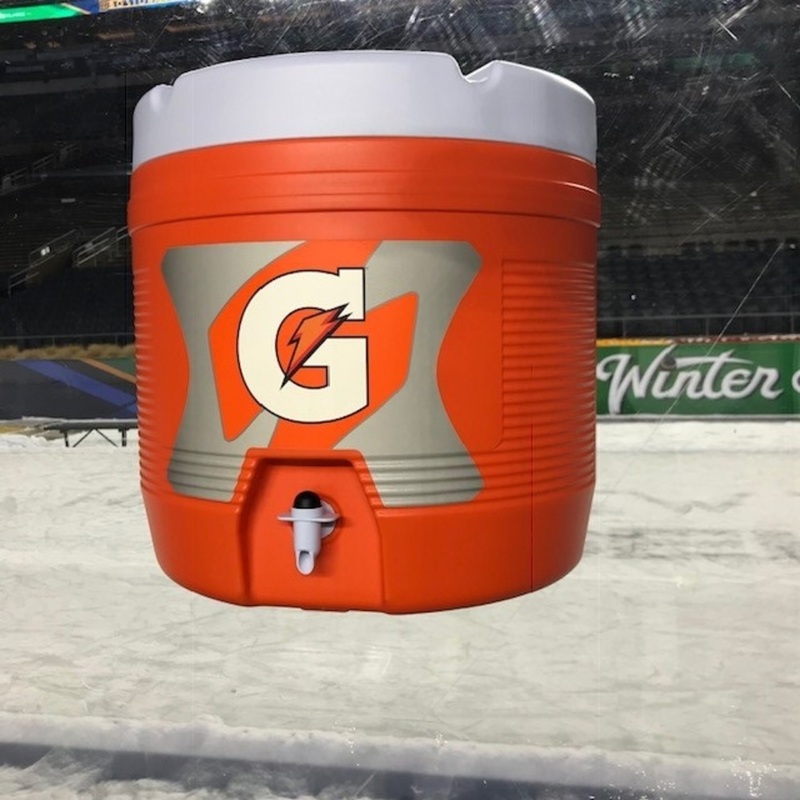 Bid now on this bench-used Gatorade half cooler used during the 2019 NHL Winter Classic This was hanging behind the Bruins bench but was not filled with water during the game.. 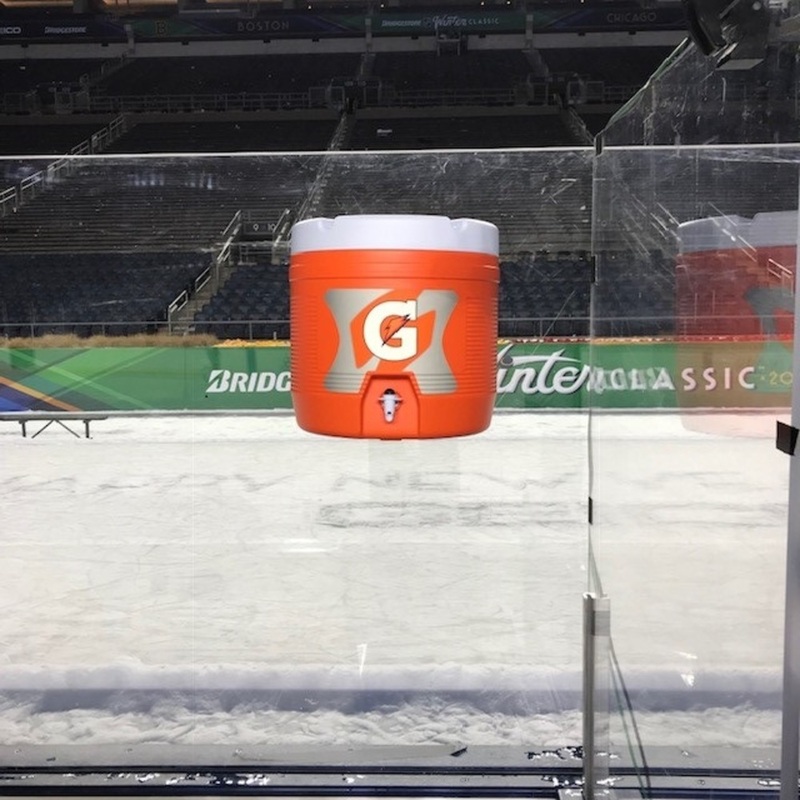 This half cooler was collected from the Chicago Blackhawks bench after the conclusion of the game by an NHL representative and comes with an individually numbered, tamper-evident hologram. To ensure authenticity, the hologram can be verified online. This process helps to ensure that the product purchased is authentic and eliminates any possibility of duplication or fraud. Click here to login and register your phone number for Text bidding. If already registered, text WCBench2;<bidAmount> (e.g., WCBench2;20) to +19049901334 to bid.